The team at Colourmaster NIP Ltd are always looking to improve their customers’ buying experience. From Next Day Delivery on stock items ordered before 2pm to special formulations to meet specific customer requirements, they pride themselves on offering a customer driven service throughout. As a leading UK supplier of colour masterbatch and additives for plastics, they offer a broad range of universal, polymer specific and matched colours and are the official distributor for Clariant plastics and coatings, who are known as a world leader in colour and additive masterbatch solutions for plastics. The “standard” offering is the Clariant Omnicolor® universal masterbatch range. The range has more than 200 standard colours available, which are cadmium free, have European food and toy approval, RoHS compliance and are usually available from stock for next day delivery in small or large quantities. The Omnicolor® range uses a specially designed proprietary carrier material which ensures excellent colouring at addition rates as low as 1% and is compatible with a broad range of polymers. For applications where colours from the Omnicolor® range are not suitable, other Clariant masterbatch ranges are also readily available, again, in a broad range of standard colours. Remafin® is an easy to handle, ready-to-use range of colour masterbatches which have been adapted specifically for use in PP and PE materials. Renol® is a range of polymer specific colours designed to be compatible with most engineering and high temperature polymers. Engineered with superior quality formulations, these masterbatches include brilliant colours and can be used across a wide range of processes offering excellent processability. The Mevopur® range of colours are specially formulated to meet the high demands of medical applications. 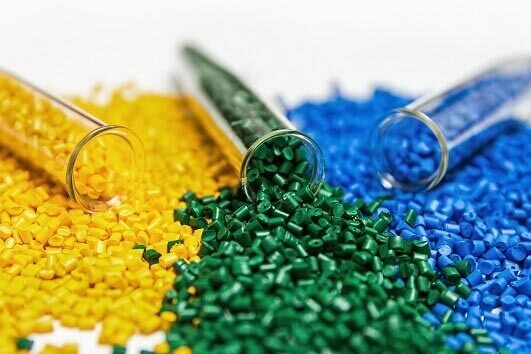 They can be used in the wide range of polymers and thermoplastic elastomers (TPEs) which are used in the medical and pharmaceutical sectors. Outside of the standard range of colours, special effects and a colour matching service are available. Customer specific colour matches can be made to RAL, Pantone and BS references or customer supplied samples all in a fast turnaround time. Matched colours are manufactured using either universal or polymer specific carriers and can also be formulated to meet specific standards if required. In addition, a range of special effects are also available from Colourmaster NIP Ltd. These include transparent colours, fluorescents, glitter and hologram flakes, edge glow colour, sparkle, metallics and glow in the dark. This is by no means an exhaustive list as other effects can also be developed to meet customer requirements as required. For further information, product details and colour charts on their products can be found on their website, or by contacting Colourmaster NIP Ltd on 0161 624 2114 / sales@colourmaster.co.uk.